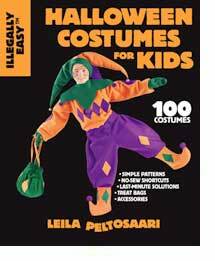 Illegally Easy Halloween Costumes for Kids, with 100 full-color costumes, patterns and last-minute ideas. You can preview a selection of costumes with thumbnails, and take a look at our free costumes online. A $3 booklet is available with our last-minute costume ideas which you can preview here. Click here for costume previews. Click here for information about the $3 costume booklet, featuring a selection of easy last-minute solutions. 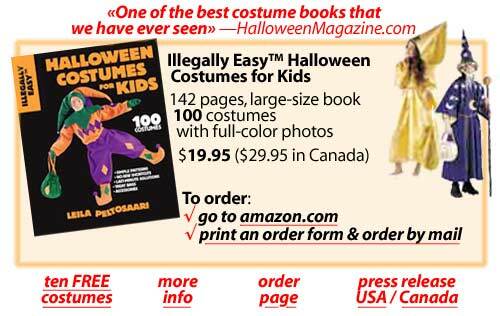 Click here for more information about Illegally Easy Halloween Costumes for Kids and to order.